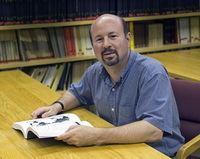 Mann is the director of the Earth System Science Center at The Pennsylvania State University. His 1998 report in the journal Nature included a graph of temperature data and model predictions that came to be known as “The Hockey stick Graph.” His recent research endeavors include understanding modern climate change and extreme weather events, climate modeling, and paleoclimate reconstruction. Dr. Mann’s lecture at Linfield will address the evidence that climate change is happening, and that human activity has a role in causing it. Mann was a co-author on the third Intergovernmental Panel on Climate Change (IPCC) report in 2001. He is active in advancing the public understanding of climate change research as a member of the climate science blog www.RealClimate.Org. The Earth System Science Center at Penn State maintains a mission to describe, model and understand the Earth’s climate system. Mann has served as director since 2005 and is also a professor in the Department of Meteorology. He earned A.B. degrees in Applied Math and Physics at the University of California at Berkeley, and a Ph.D. in Geology & Geophysics at Yale University. 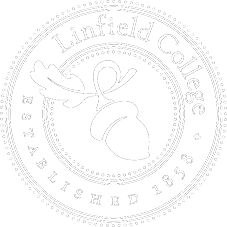 The lecture series honors Dr. Dirks-Edmunds, a professor of biology at Linfield from 1941 to 1974. The endowment is used to bring speakers to campus to address critical environmental concerns and biological issues, and to support student-faculty collaborative research. Dirks-Edmunds recognized the importance of ecological issues and humanity’s impact on nature long before environmental issues became part of the public agenda. This entry was posted in Campus Events, Latest News, Press Releases. Bookmark the permalink.